Earn $6.69 in Rewards credit (669 points) What's This? 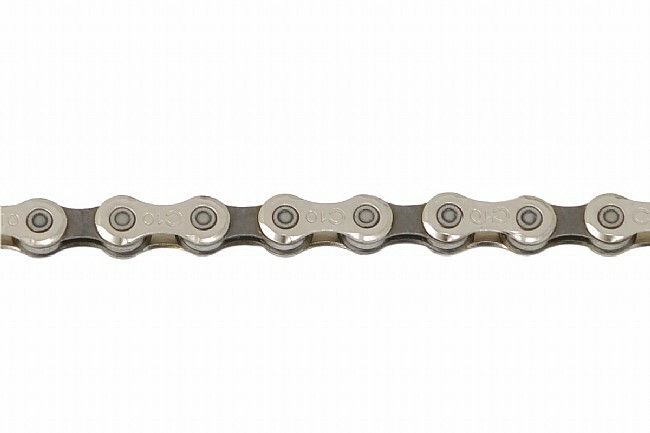 The updated Veloce 10-speed chain features a super narrow 5.9mm width, making it quieter running and more light weight than before. After extensive lab testing, Campagnolo reports its high level off durability and wear resistance parallel their top of the line Record model. I can tell a difference between this chain and the Record chain. I just can't bring myself to pay the Record price for a chain.